Conservative councillors Tim Eagle and Claire Feaver. Moray councillors have called for all school pupils across the region to receive life-saving CPR training. Many schools in the region already offer some form of instruction but Conservative group members Tim Eagle and Claire Feaver believe it should be compulsory. They have submitted a motion to the Children and Young Peoples Services Committee which may be considered in the weeks to come. It calls on Moray to follow the leads of several other local authorities in Scotland and ensure youngsters know how to react when they see someone suffer a heart attack. The bid has the backing of British Heart Foundation Scotland (BHFS). Data from the Scottish Out-of-Hospital Cardiac Arrest project shows that out of every 12 people to suffer a cardiac arrest outside of a hospital, only one person will survive. Councillor Feaver believes that teaching all children how to do CPR properly will increase survival rates massively. She said: “Evidence has shown that CPR gives a big increase in cardiac survival rates and we want to encourage a society where we all feel we can step in to help when the worse happens. 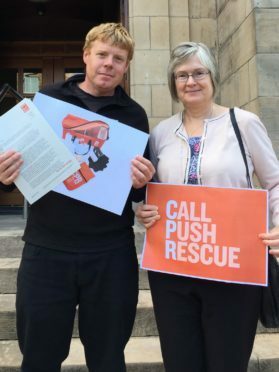 Glasgow and Aberdeen city councils are already committed to mandatory CPR training and Daniel Jones, Policy and Public Affairs Officer at BHFS, is hoping Moray will be the next one to take this step. He said: “BHF Scotland knows that introducing CPR to all schools in Moray would provide an opportunity to greatly improve this survival rate. “International evidence shows this works. “After Denmark brought in legislation for all school pupils to learn CPR, survival rates in the country tripled and now 1 in 4 people can expect to survive a cardiac arrest in the country.